Happy Tuesday! Today's post is all about the mouse. Ok, maybe not so much the mouse but the food at the mouse house! 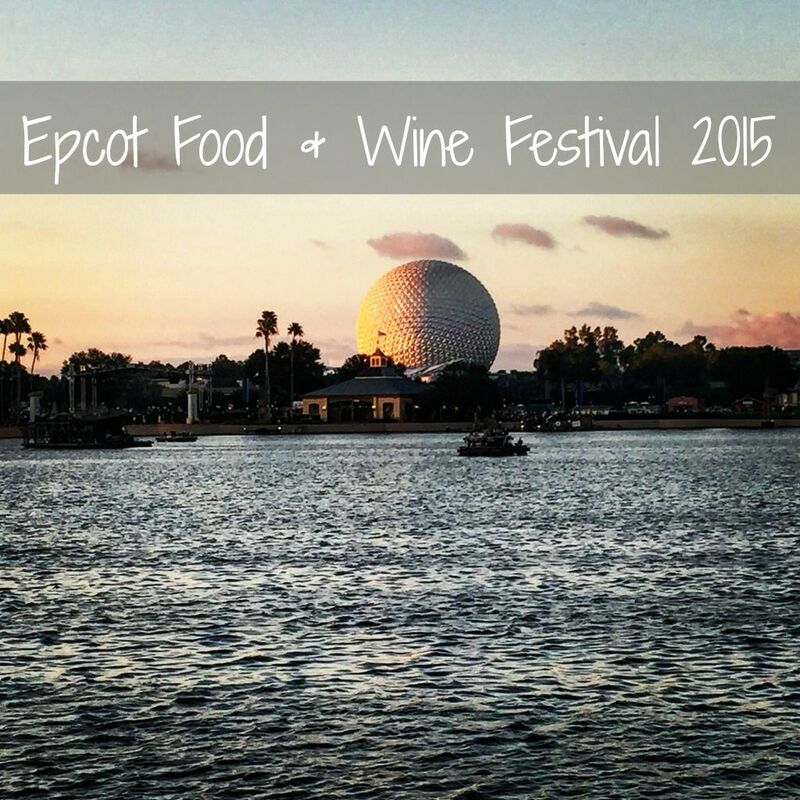 This was my first time ever to Epcot International Food & Wine Festival and I call it part 1 because I didn't get to try nearly everything that I wanted to and I didn't bring my "big girl" camera so I will definitely be back very shortly to do a further recap. Honestly, there is so much to do and eat that I don't know how people manage to try something from every country in one day! Thank goodness for season passes so I have an excuse to go back! We started out the day heading to a third party building to pick up our season passes since I ordered mine through my work. After standing in a line that was forever long we headed over to Disney property. 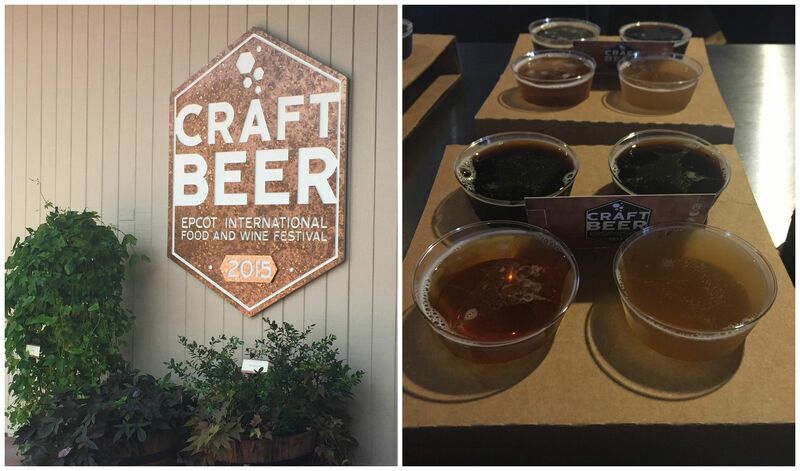 When we finally got into the park we headed straight for the Craft Beer "booth" to grab our first drink of the day. At each "booth" you have some food options and beverage options to choose from and some booths include flights. The craft beer booth offered some snacks (which we opted to skip) and two craft beer flights or individual 5 oz pours of a beer of your choice. We all opted for an individual pour, I went with the Orlando Brewing Grateful Pumpkin. After finishing up at the Craft Beer booth we headed over to Mexico where we were greeted by a wall of people. Kerri said she had never seen Epcot so busy before, not even on New Years Eve. Leave it to me to go on the busiest day possible, right? We hopped right in line to pick up some Mexican food because that is the one thing I cannot miss. I opted for the Chilaquiles de pollo which was corn chips layered with seasoned chicken, queso fresco, sour cream and cilantro and was delicious! I skipped the drink in Mexico but in my picture you can see the hubby's Dos Equis with a floater. I'm assuming it had to be some sort of raspberry or berry flavored floater considering the color. After Mexico we continued walking just to continue to find longer and longer lines. We finally decided to stop again in Italy (another food I can't say no to). This time I went with the ravioli alla caprese which was cheese ravioli in tomato sauce with mozzarella, parmesan and basil. This MIGHT have been my favorite dish of the day and I also grabbed a frozen Italian margarita made with limoncello and tequila. It was delicious but melted way too quickly! We decided to take a little break from eating and drinking for awhile and headed over to The Seas with Nemo and Friends which was an adorable ride and if you follow me on Snapchat you saw we got stuck on it for a few minutes. Soarin' and Test Track both had 50+ minute waits so we chose to skip those this time and instead headed over to the giant ball (which I named Lance) and ride Spaceship Earth which was located in Lance. That ride opened in 1982 and hasn't been updated since so it was kind of funny but still nice to get out of the sun and just sit for a bit. After a few rides and some walking around we decided to head over to the Farm Fresh booth which I REALLY wanted to try their loaded mac n’ cheese with Nueske’s® pepper bacon, cheddar cheese, peppers and green onions but was still too full so I opted to skip it until next time. I did give in and get a glass of wine at the Wine Studio which was the most adorable little outdoor patio area with wine and cheese. I went with the Avviato Pinot Grigio but apparently the Acacia Pinot Noir was a huge hit since it was sold out by the time we got there. We decided to make our way back around the world and see if any of the lines for places we missed had gotten any shorter. The beer line in Germany had gotten considerably shorter than it was previously so we decided to grab a drink there even though I really really wanted to try the bratwurst. I went with the Norbertus Special Hefeweizen which was ok. Not my favorite but not horrible. We ended the day by hopping on Mission: Space and let me tell you, they do a great job of freaking you out about riding that ride. All of these warnings and do not ride if signs every where. Not to mention the barf bags when you sit down. Kerri and I were a little freaked out but I didn't think it was that bad. It spins you around really fast (which you can't really feel) but you feel the g-forces on your body. You get exposed to forces up to 2.5Gs which is more than twice the force of gravity at the Earth's surface. It's scary how many people have been taken to the hospital and even died from that ride but I'm glad we did it! Thanks for sticking with me through this post! I know it was pretty lengthy compared to my usual posts! 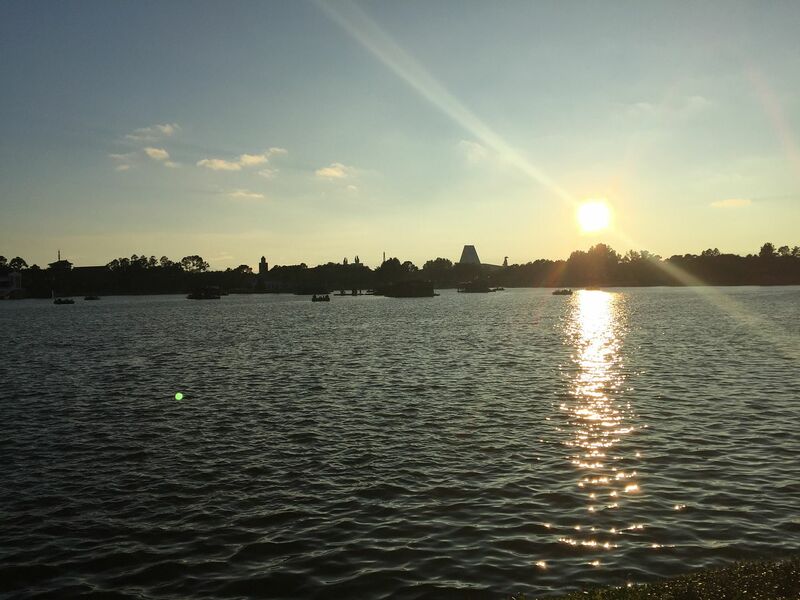 I haven’t been back to Disney since I was around 8, so I clearly need to go back soon and enjoy the adult beverages at Epcot! So much fun! Those ears are just too cute and that lasagna thing looks divine! Yum! 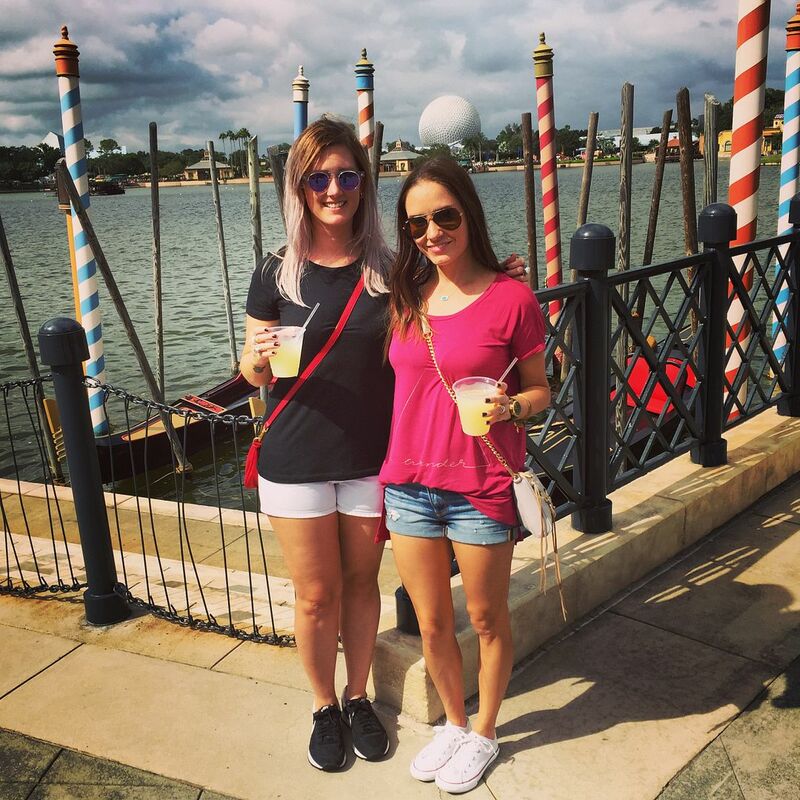 The limoncello margaritas are one of my fav drinks at Epcot, my other favs are the slushies (and champs of course) in France and the blood orange margarita in Mexio. ah so much fun! you did a way better recap than moi. haha. cannot wait for part 2 for my birthday! and more slushies in italy and food in germany :) :) love u! 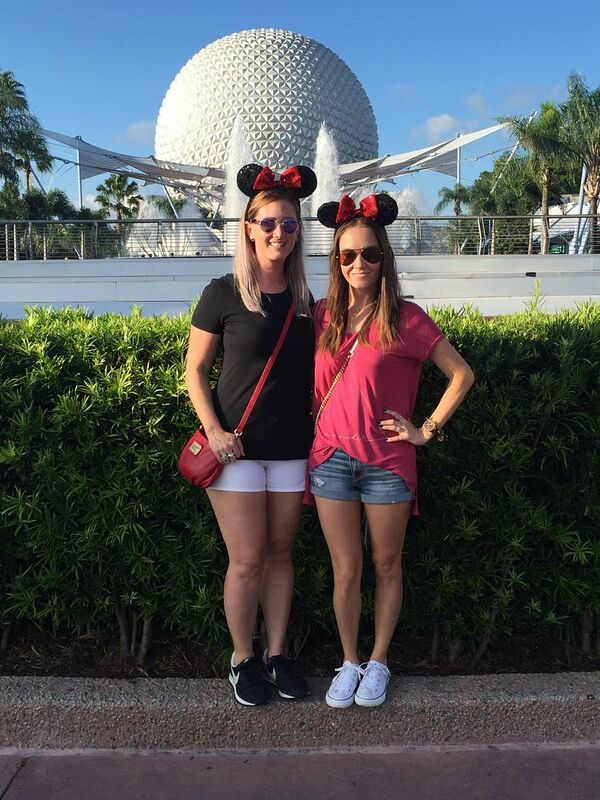 It sounds like you and Kerri had a blast!! Mexican or Italian food you literally can never go wrong with. I was salivating reading your post and wanted to try that sparkling pomegranate kir, yum! I loved Soarin', but hate the ridiculous line it always had when I was there! thanks for taking us along with you through this post!! i have been so curious!! i loved the recap!!! Whoa the corn chips sound amazing and ravioli is one of my favorites. I'm jealous lol! We totally have the same taste in food. 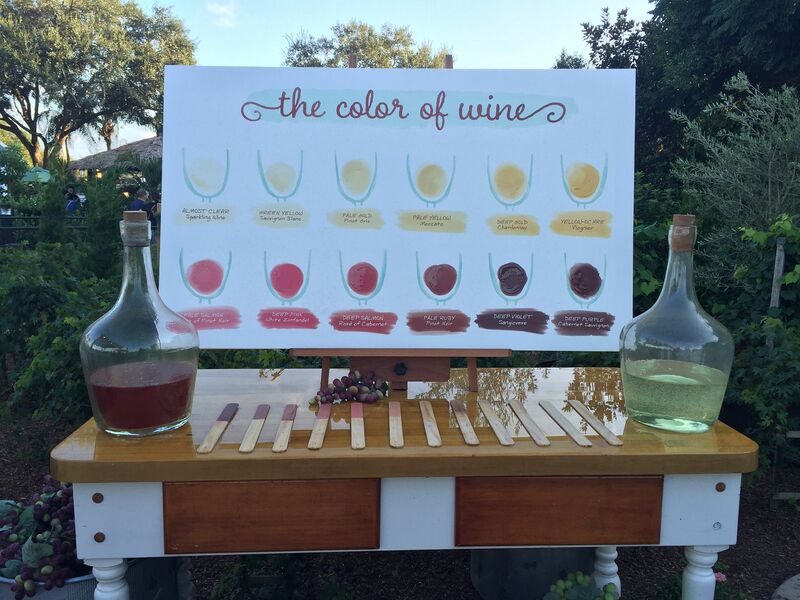 The wine studio is so cute, I need to visit one day! Iv'e been to Epcot when I was younger, but you know I didn't have much appreciation for it then lol. Looks like a FABULOUS time, lady! I'm so jealous, I wish I was there. The beoeuf bourguignon sounds amazing. Would you like a visitor this weekend? I need to come and eat all of the things!!! Haha everything looks so amazing! This look likes so much fun! Although, I don't know how well I would handle those rides after some wine and beer! I did that mission ride once and never again, I have never felt so sick in my life! However, the test track is my absolute favorite ride. Looks like a great time! Is any of the food included or you have to pay for each individual sample? Definitely looks like there were some great drinks along the way! ah I am obsessed with epcot! loved this fun post! So much fun! Epcot is HUGE so you did a lot in one day! I can't wait to go, and you know I'm hitting that wine patio! Love the minnie mouse ears! 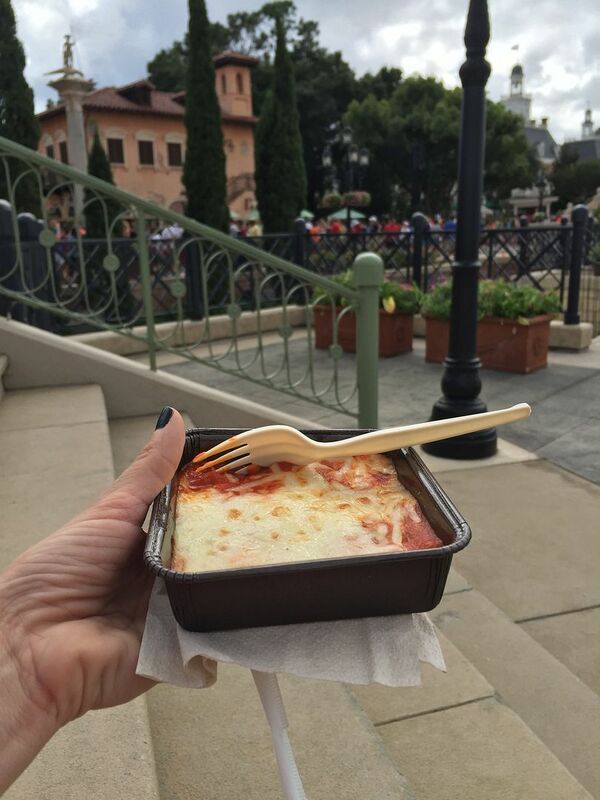 Your food and drink in Italy looks delicious - that would have definitely been my favorite too! Although, your hubby's in Mexico looks pretty great too. That's crazy that it was so busy! I was there two years ago for the Wine & Dine Half Marathon and that weekend wasn't that busy at all. I got the ravioli in Italy, too, and I remember it being amazing. The Mexican dish looks fantastic, too. I'd love to go to Dysneyworld, it should be fun! I have seen so many of my friends on Facebook posting pictures of this event. I didn't even realize the had went! It looks like so much fun, minus the whole crowd thing. I just love food and drink festivals!!! Well Italy definitely sounds the best food and drink wise but everything looks amazing and yummy!! Pretty jealous you're so close to Epcot & Disney, two of my favorite places! This event looks so fun! Ps. 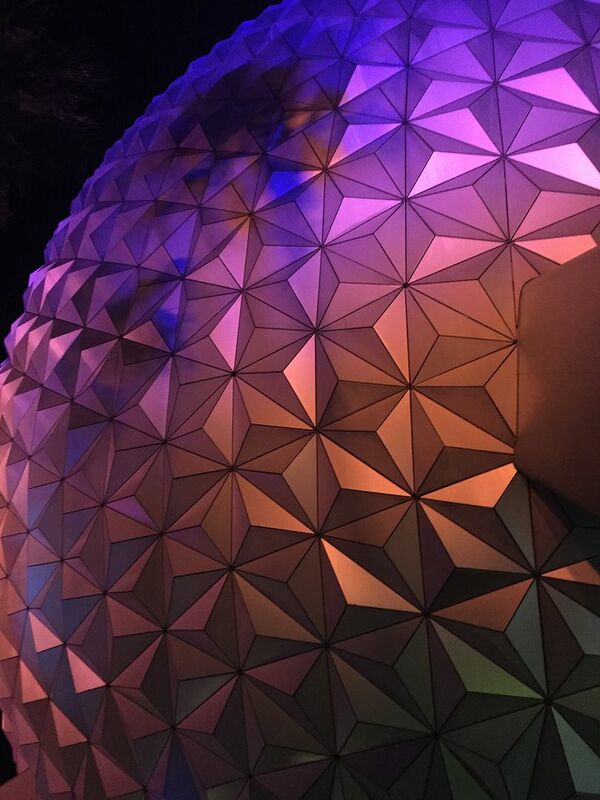 I totally love that ride in the ball Spaceship Earth! I can't believe it's that old and hasn't been updated! Love, love LOVE Epcot :) Jared and I have always wanted to get down for this festival but, football season.... so I can't really vacation! Boo! I was super freaked out to ride Mission:Space but I'm glad we did too. I felt a little dizzy for a bit after we rode it, but nothing crazy like they try to make it seem ahah! ahhhh fun! 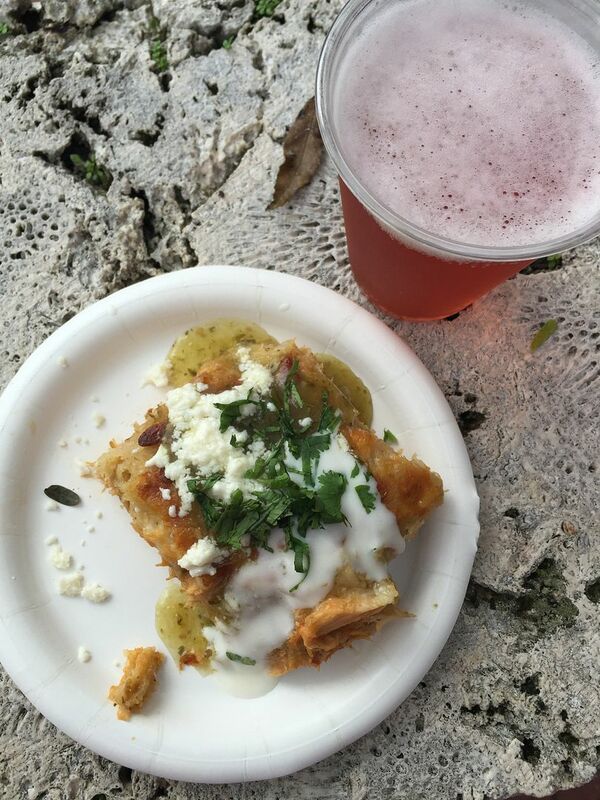 the food & wine festival has (coincidentally, not planned) been on both times i've been, and i thought for sure it wouldn't be on when we are coming next month but of course it's the last weekend! gah, hope it's not crazy busy lol. i just love it because of the little australia cart / tent thing. how fun! love it. what a great time! I love wine and I am wine-certified for level on. Plus I love good food, so this event is right up my alley. Thanks for sharing Pam. Have a great week, pretty lady! <3 Ada. Love Epcot so much! great post, have an awesome week! Sounds like you guys fit a ton in on Saturday and I missed the Craft Beer booth...damn! lol The food in France sounds amazing! Mexico is my favorite country there! There were definitely no craft beer flights when I went over the summer...I really need to get to this festival one year! Ok that Italian margarita sounds AMAZING! I was too scared to ride Mission Space but I remember my ex boyfriend rode it and literally had to lay on the grass after he was so dizzy! Loved this post! I miss Disney so much! You are the cutest! And all the food and drinks - they look soooo good! Wow, this sounds like a really fun event! How cool!! Who would have thought that this would have happened near/at disney!? Thanks for sharing! Looks like so much fun! I went to Epcot a while ago and I loved it! It was my favorite Disney World park in Florida. What fun! Thanks for the great recap. I went years ago and thought it was way too crowded for my taste. I mean you could hardly walk around it was so packed with people. I'm pretty sure at one point, the park was at capacity. I totally would love to go again though. I love Disney and jealous that you ladies live so close. 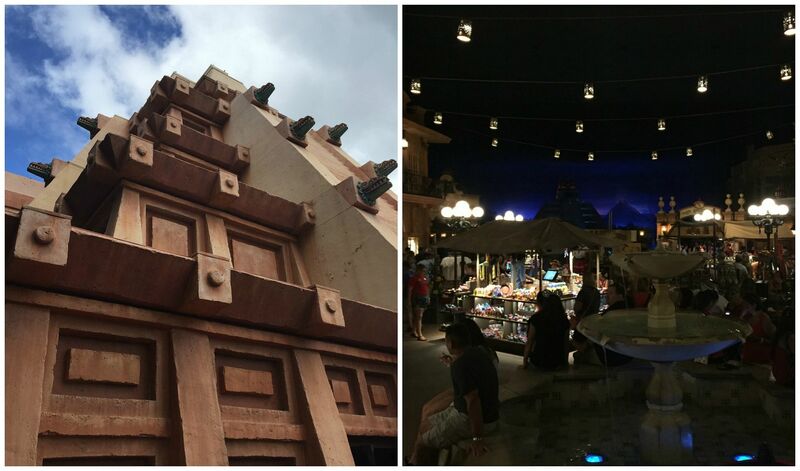 We were in Disney at the beginning of Sept and I wished we could stay for the festival, looks like so much fun! What a fun time, all the food and drinks look delicious!